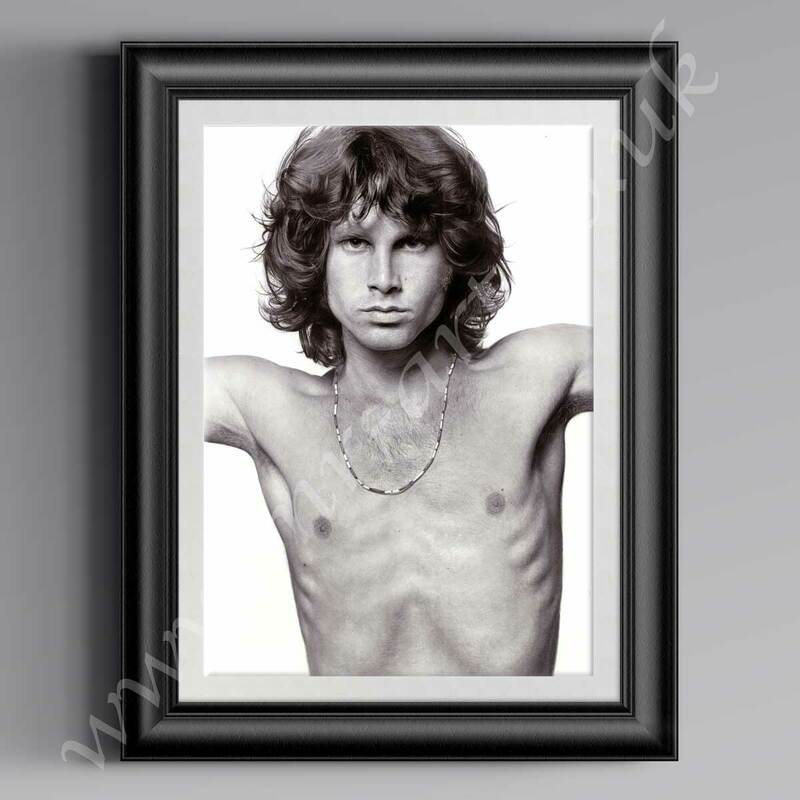 This exclusive Jim Morrison Print has originally been drawn in pencil by Mark Reynolds. James Douglas “Jim” Morrison (December 8, 1943 – July 3, 1971) was an American singer, songwriter and poet best remembered as the lead singer of The Doors. Because of his songwriting, wild personality and performances, he is regarded by critics and fans as one of the most iconic and influential frontmen in rock music history, and because of the dramatic circumstances surrounding his life and death. In the latter part of the 20th century he was one of the popular culture’s most rebellious and oft-displayed icons, representing generational gap and youth counterculture. He was also well known for improvising spoken word poetry passages while the band played live.